"I think an ideology, a dangerous ideology, that preaches that people are better off dead than disabled is what led to Alex Spourdalakis' murder." Bonnie Liltz was given a reduced charge of manslaughter and sentenced to four years in prison for the premeditated murder of her nonspeaking disabled adopted daughter Courtney. Courtney was a 28-year-old woman with CP and had a right to survive her mother's potential death. Bonnie's excuse was that she has severe health concerns and did not wish to die and leave Courtney back in an institution where she would receive terrible care. Bonnie was 19 when she was diagnosed with ovarian cancer. The treatment at that time was basically radiation sickness inducing and Bonnie had devastating health problems ever since. She chose to adopt Courtney, fully aware of Courtney's lifetime support needs as well as her own frail health. During sentencing a parade of family, friends, and neighbors requested leniency. Her attorney repeatedly stated that Bonnie had dedicated herself to Courtney's care and that Courtney's murder was an act of love. This is such an insult to the hundreds of disabled and chronically ill parents with high support needs who lovingly future plan and parent their own disabled children and keep up with changes in the law that have changed service providing for adults with intense support needs like Courtney. Courtney could have remained in Bonnie's home, the home she knew and grew up with if Bonnie had achieved home ownership. Courtney was adopted by Bonnie at age 5. So in the 23 years that followed, Bonnie, who knew she had a horrific health history and declining health, did not reach out to all these friends and family who are singing her praises in court and come up with the 24-hour nursing and personal care plan Courtney would need after she died? Did no disability service agency explain that Courtney could have the services she needed at home or in the community? The tacit structural ableism rampant in media reporting of these events leaves so many questions unanswered because their narratives leave Courtney erased from both her life and death, her existence defined by her mother as self-sacrificing care providing single-parent, her mother's friends and family relating her mother's struggles, and her mother's justifications for her murder. Courtney deserves better. Why didn't Bonnie, knowing her own health was failing, set Courtney up in a community-based placement of her own with staff to care for her after Courtney's 21st birthday? Why would she just say to herself "If I die, what will happen to Courtney? Well, I'd better kill her then?" Why is it that in so many of these murder-suicide attempts the murderer seems to recover without any real harm but the disabled victim has no chance of survival? If I die, and any of you, my friends, family, or colleagues, say "she dedicated her life to that severely disabled son of hers" I will come back as a ghost and kick your collective asses. If you have any love and respect for me in life, do me the service of not cheapening my relationship with my son after my demise. Mustafa deserves better. Let us make this clear. If I die, the only thing I want anyone saying about me and my son is that I dedicated my life to fighting for my son's right to have autonomy and as much agency in his own life as he can manage. Anything else is dehumanizing to my son, and my son deserves better than to be defined by the idea that I was unpaid support staff for him and I mothered him. He can't become some sort of object of pity in his dead mother's life. If I die, I expect our community to step up and help my husband and adult daughter ensure my son has his human rights to a free and appropriate education, a community-based living placement neither in a group home nor an institution and the supports he needs to thrive after I'm dust in the ground. The only legacy any parent who is the primary care provider for a nonspeaking disabled person must leave is the memory of their efforts in life to guarantee the survival, autonomy and freedom of that disabled human to live as full a life as possible whether they survive to care for them or not. Everything we do, from their diagnosis day to the last breath we take, must ensure the survival of our offspring. That is what a mother's job is. That is my damn job. It doesn't make me a warrior mother. It doesn't make me superlative. It makes me Mustafa's mother doing my job by him and fighting for his human rights to respect, dignity and access to the same community I fought to live in as a woman of color. Murder is not an act of mercy. We must all stop propagating this lie that murdering a severely disabled loved one is an act of mercy simply because so many people are so ignorant of what it means to be disabled that their fear of visible disability drives these horrible thoughts. If you are a parent and have ingested this poison you must expel it from your heart. This ideology that people are better off dead than disabled is a terribly dangerous lie. Part of moving past that toxic culture and towards saving lives is to recognize that everyone has the right to an autonomous life and agency in that life. 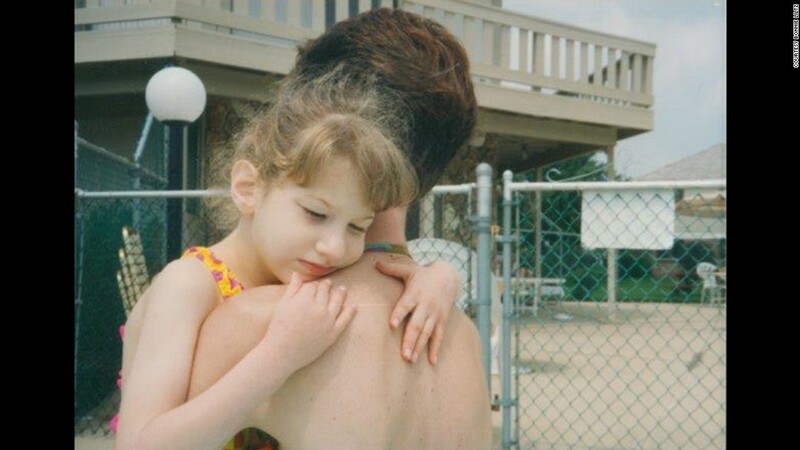 Courtney's life was hers to live and not her mother's life to take. Mustafa and I fought to bring him into this world and survived. I sure as hell am not going to take the valiant war he has fought to overcome the mountain of obstacles posed by his disabilities and dishonor our joint fight for survival by murdering him simply because I have been told my life may end before his. Rather than fearing what the future might hold for our offspring help build a world of communities designed to accommodate everyone and stop being afraid to let your disabled children grow up and live an adult life. Imagine what their lives without you will look like and help them make that happen now. STOP KILLING THEM. Bend your collective parental wills and energies to making the world work for them. The ultimate failure in this cycle of violence against disabled adult children by their carers is a systemic one. Bonnie should have been shown that Courtney would not have to survive her death in any institution and Bonnie should have been able to transition Courtney into an autonomous community-based living situation at 21 that Bonnie could have overseen for these 7 years. I would argue that if Bonnie truly loved Courtney as much as everyone said she did, a secure future plan being implemented now for Courtney would have dismissed thoughts of filicide on Bonnie's part and she might have sought professional help for her own wish to end her life, and possibly two lives would have been saved. What needs to happen is that we must all get to work on the foundational issues that can prevent these murders before they happen. That begins with all of us parents understanding that our deaths are not the end of the world for our severely disabled children. We must act now to ensure they are able to have an excellent quality of life both now and when we leave the world. Fight to save our children's future not to end their lives. If I die, and my son survives, thrives, and remembers he had a mother who loved him, I know I will have left this earth feeling as if I have achieved paradise. His survival, his growing up to be a man who can exercise his human rights and civil rights and be accepted as he is my only goal. Remember that. Remember the tragedy of Courtney Liltz and the toxic ideology that led to her murder. Remember Courtney as a woman who is being erased from her own story and don't allow it to happen. Be aware that filicidal and suicidal ideations require professional help. If you hear it, get that parent help. Don't enable it by supporting this ideology on any platform for any reason. Don't stand by and do nothing, then sing the praises of the murderer. Courtney is not better off in Heaven. Courtney is not better off knowing the one person she trusted murdered her. To claim a belief in God and take a life placed on this earth and meant to outlive you means you have no faith that God will protect the life He brought on this earth after you've left it. That is the ultimate in religious hypocrisy. Justice was nearly undone by those who by their testimony eulogized Bonnie Liltz, and thus erased Courtney Liltz's value as a person with the right to live, decimating her rights as a victim with the right to justice. If we continue to allow this mentality to spread, others will target our children and decide it is okay to end their lives without their consent or our knowledge. So wake up and educate people about your disabled loved one's right to exist. Begin with your own friends, neighbors, and family. I was leaving the hospital, being wheeled out to my transportation.The LPN, said: "your son is autistic? Wow, that's so sad." I turned in my wheelchair and replied, "Oh? Why?" She was so taken aback that she began with "well, uh, I mean, er, you know.." I was firm. "My son is brave, resilient, and compassionate. He is also incredibly patient." "So it is not sad. It is an honor to be his mother and be part of his life." We spoke a while longer, and she left thoughtfully reflecting on what we discussed about Mustafa and his value as a person. Begin by changing the conversation. No exceptions. What is at risk is our children's lives. You have written an excellent piece. I agree that the conversation needs to change. 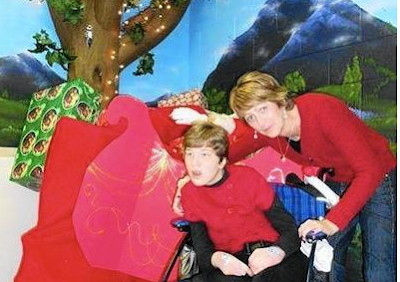 I am the parent of two severely disabled young adult women. I have, however, openly said and written about the wish that our children die before us. I would never kill, but you must know that the words represent the failure of society as a whole to help us find the wonderful care of which you speak. "That begins will all of us parents understanding that our deaths are not the end of the world for our severely disabled children. We must act now to ensure they are able to have an excellent quality of life both now and when we leave the world. Fight to save our children's future not to end their lives." For some of us living on low incomes in locations where out of home living arrangements for the severely disabled are almost non-existent, our deaths ARE the end of the world for our children. The alternative to the loving care that we have provided them for years or decades even, is warehousing, poor physical care, limited stimulation, the likelihood of abuse. Those of us who have children whose care requires our attention 24/7 do not have the basic luxury of fighting for much on the long term. It's daunting to cut through the red tape to get basic services NOW. It's endless, disheartening and it wears. We must yearly prove to the bureaucrats that our children are still exactly the same as they were the previous year. Budget cuts reign. We claw and fight within our own community for sparse resources to get through the day to day. Planning for the future? How? With what? With whom? It's wrong to kill our kids. Absolutely. It's wrong to let murderers off. But I still hope my gals die before I do. That way I will know that they have lived life loved, and lovingly cared for, right to the very end. Thank you for your response. I write about severely disabled loved ones because my son requires 24/7 care. You're assuming that I have time you don't to do these things. I don't. When I am typing this my husband is caring for our son. When I am offline I am caring for him. Planning for your children's future is possible even when you believe there is nothing to plan with. That is not exactly accurate. What is happening is that we are not being informed on what can be done to create our own solutions to housing and community supports for our children. Because the cheapest solution is to kill them under the guise of mercy killing. But it is actually cheaper to provide community supports than to warehouse our loved ones in institutions. And once decision makers see the math, they get on board. I don't know what state you are in and what your circumstances are, but I am in active contact with my state and local law makers and I do that with emails and phone calls from a hands free phone while getting my son through his scheduled educational and care day. Don't give up. Don't assume what is presented to you is it because you are low income. And don't assume I have more means and time at my disposal than you do. I create tiny blocks of time and maximize them. Because I'm fighting for my son's future. I will try and continue writing on this topic and how options can be created for community-based solutions for adults with intense support needs. I hope it will help your family and you. By the way, I have cared for my son without respite and state supports since his diagnoses required I leave my job. While my age and other factors may require I finds ways to gain respite, I do understand your position. Grasp that part of the reason I did not have respite available is that we simply could not afford it. Respite, for us, was a luxury. Peace.